Save hours of grading each week! Don't take your grading home! 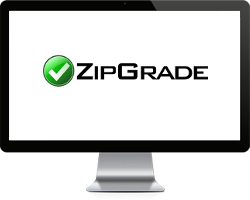 Join the 250k+ users that have used ZipGrade to grade over 100 million papers. 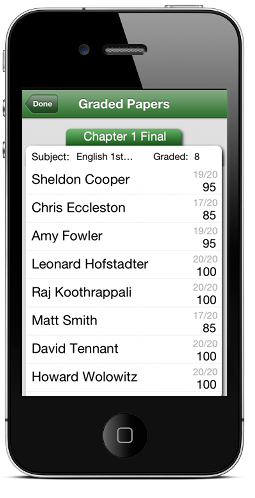 ZipGrade knows when a paper is in focus and ready to be graded. The phone will vibrate when an image is acquired to let you know it’s ready to scan another. 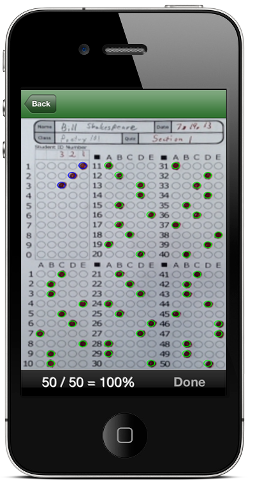 Scan, grade, and organize up to 20 tests a minute! Use this website for secure access from any web browser. Many teachers now grade as soon as students complete a quiz or test. Students receive immediate feedback and teachers can redirect differentiated learning quickly. 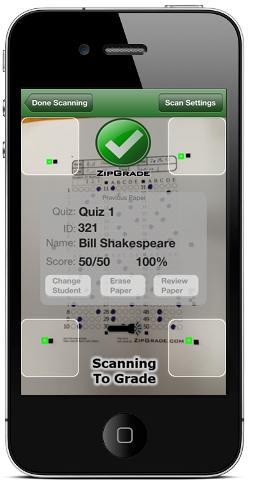 ZipGrade is free to download and scan 100 papers per month free. Unlimited can be had for not much more than the price of a cup of coffee. And answer sheets are free to download from the website. 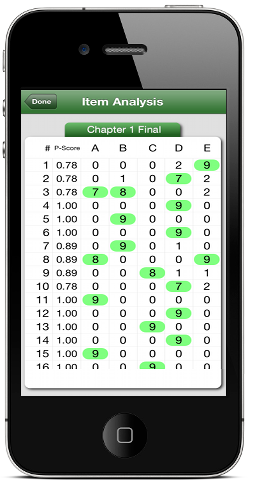 There is no more cost effective way to grade multiple-choice quizzes as quickly and accurately. 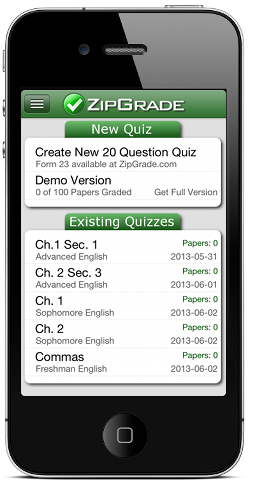 With multiple answer sheets sizes and forms, ZipGrade can be used for everyday exit tickets, weekly quizzes, or longer exams. 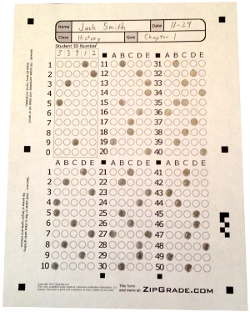 The answer sheets are also licensed via Creative Commons (BY-NC/3.0) which means you are allowed to customize, update, and distribute to others. Some teachers have even laminated answer sheets to make them reusable! Internet access not required to create quizzes, scan, and grade.